Taco Meal at Fuzzy’s Taco Shop. If you’ve driven down West Call Street this year, you’ve probably noticed a vacant building that had been home to the lone Fuzzy’s Taco Shop in Tallahassee. Although the name was never removed from the establishment, the presence of customers, employees and the fiesta spirit ceased. The owners made the decision to shutter Fuzzy’s for personal reasons. The business closed its doors in December of 2017. Due to the prominent location and obvious sales potential, Fuzzy’s corporate office contacted Danielle and Diego Monroy to open and rebrand the business at the West Call Street location. They had a grand opening on Monday. “The previous owners were not prepared for a business. They were financially unavailable. They did not have enough money for product or to pay us,” said Tiffani Pearson, a previous and current Fuzy’s employee. The Fuzzy’s team wasted no time with delivering a strategy that would bring in a crowd to experience a Tex-Mex inspired fiesta. The opening Monday was celebrated with a dj, face paintings, the game of corn hole and karaoke. “Fuzzy’s is a new and cool place to hang out on Call Street. We offered $1 tacos, $2 margaritas, $4 nachos and free chips and salsa just for the opening,” said Sally Bardin, a new Fuzzy’s employee. 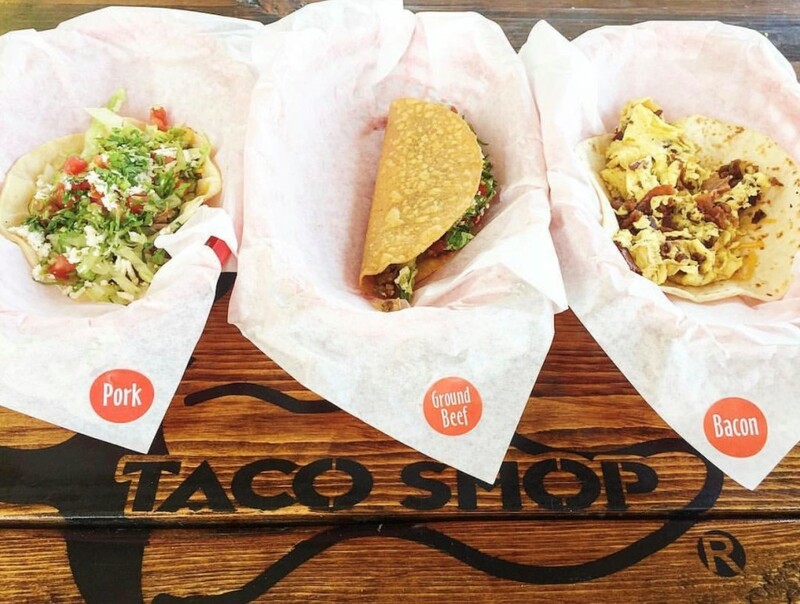 The Fuzzy’s Taco Shop menu has a variety of offers that any Tex-Mex lover can indulge in. The menu includes chips and queso, a variety of salads, burritos, burrito bowls, nachos and quesadillas. It also offers a range of protein, including ground beef, spicy pork, shredded chicken or brisket and grilled tempura fish and shrimp. It even has a breakfast menu which includes a variety of burrito and taco combos. Fuzzy’s also offers a list of happy hour drink specials. There are a bunch of different kinds of beers, margaritas and wines.